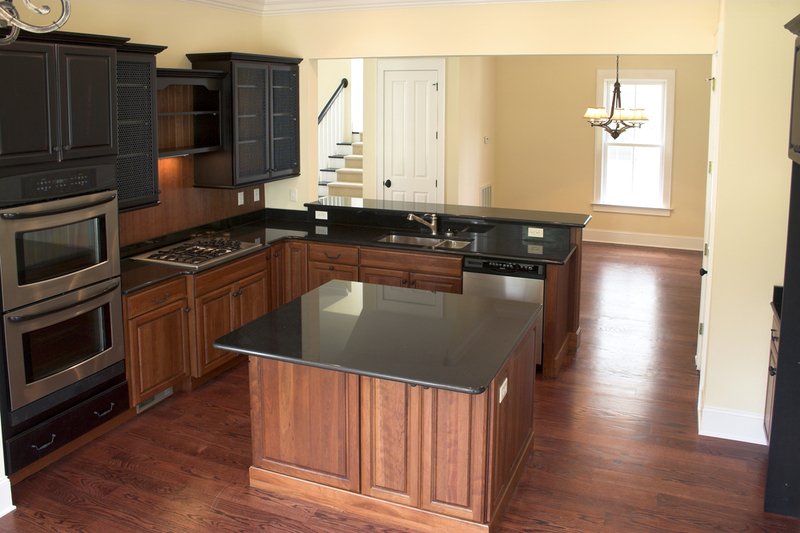 If you're looking for a great look for your kitchen then these absolute black granite countertops should be the first thing on your list. 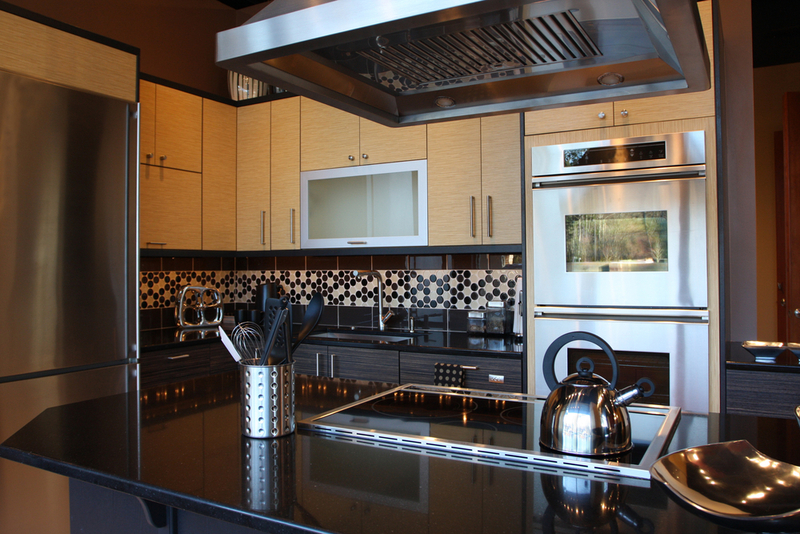 The perfect absolute black granite countertops can make your entire kitchen something unique and suited perfectly to you and your interests. 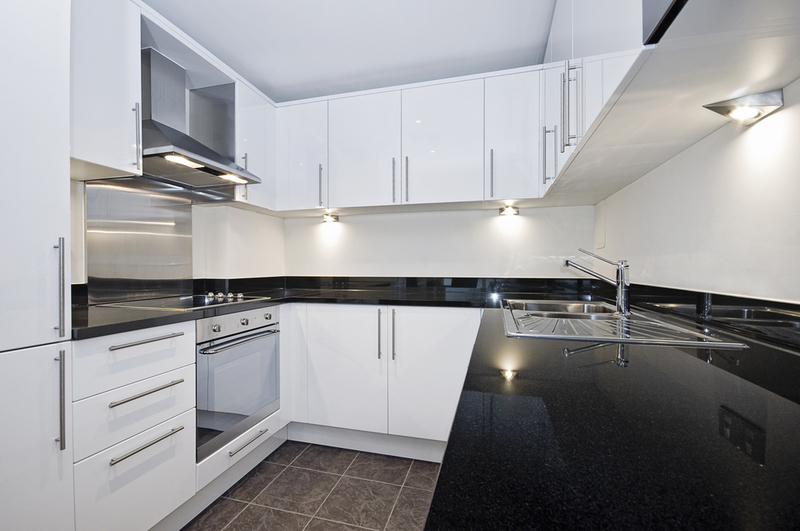 Of course, it doesn’t just have to be these specific counters for your house. With just one slab of granite or other stone or even a single piece of butcher block, you can show everyone who enters your home just what your style truly is. The key is making sure you look at all of your options before you jump on anything in particular, but remember, you’re going to be living with it for a decent amount of time. You want something that you will enjoy for longer than the season. Remember, a slab of granite or stone or anything at all that you put on your counters is going to be there a whole lot longer than that paint on the walls (or most likely). Absolute black granite is actually one of the less expensive versions of granite that you’re going to find as it generally comes to about $18-$22 per square foot. When you compare this to other types of granite, which could cost upwards of $50-$100 per square foot, it’s practically a steal and it’s going to look great at the same time. The cost is going to be a little bit higher once you get someone out there to put the slab in for you and finish everything, but you’re still looking at around $40 per square foot for the entire job. That’s definitely going to help you save a little but still get a look that doesn’t let people know in the least. They’ll definitely think you spent a whole lot on it. 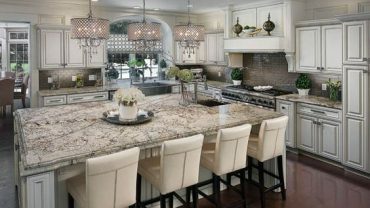 So what is it going to look like to have this beautiful granite on your countertops? Well you’re going to get exactly what you’re probably thinking when someone says ‘absolute black.’ The countertops are going to be completely black with possibly a few little flecks in them that will help to reflect the light and give them a shimmery appearance. The slab will generally be glossy on the top to help reflect the light and give you a bit more shine without the silvery streaks that some other types of granite will have. You’re also going to see plenty of options when it comes to the edging of your granite countertops as well. You can choose traditional rounded or square cut edges or waterfall options and special cuts. It’s going to depend on the specific look you’re going for in your kitchen and a little on the type of cupboards and the money that you want to spend. But the opportunities are definitely going to be endless. 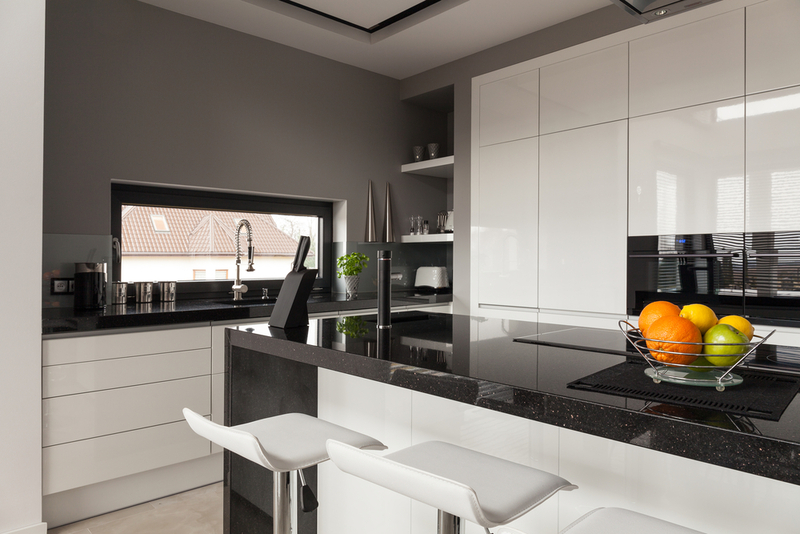 Take a look at each of these options and you’ll definitely see just what you can get yourself into when you choose absolute black granite countertops for your kitchen. 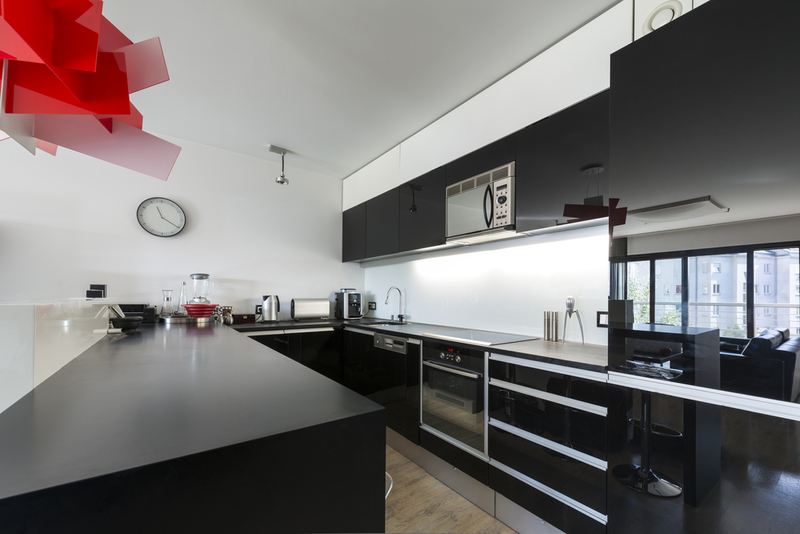 Whether you decide to go with a mix of dark and light or a full-on dark theme, you’re going to see a range of different choices with these countertops to make anyone who enters your house jealous. Mix white and black and you’ll get a super sleek and clean look. 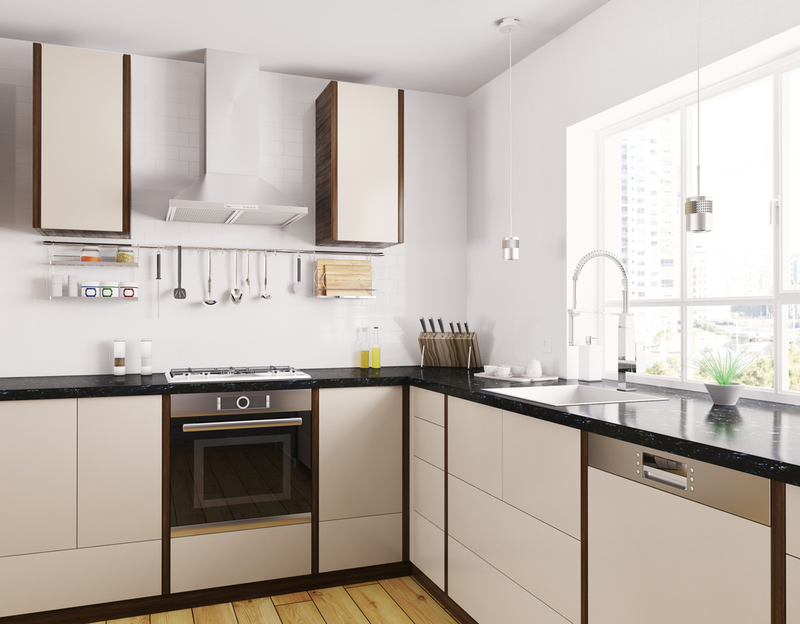 With these flat white cabinets and simple handles you’re also getting an ultra modern look. Black on black can be modern and elegant on it’s own and you won’t have to worry about anything showing. With this glossy look throughout you’ll feel like you’re really showing off. 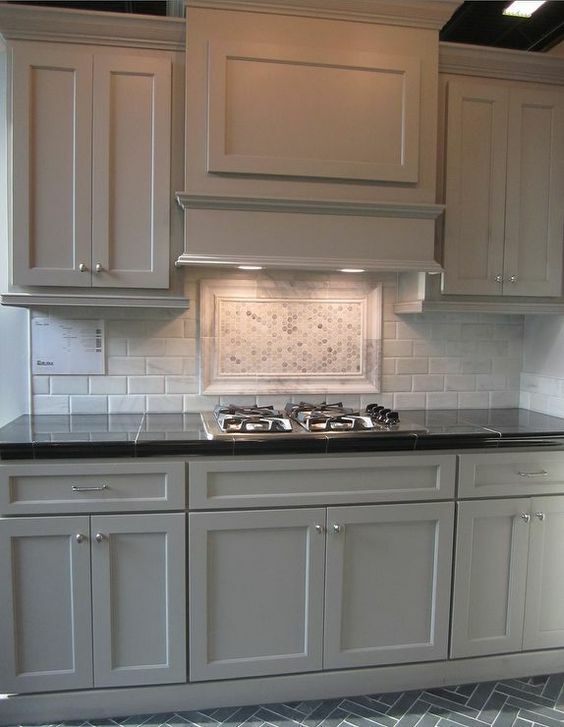 This white makes for a clean match with the absolute black granite countertops, but it has a more country style with the accented cupboards. You’ll get a more homey feel with this one. Here you’re getting a little bit of a mix with the black granite countertops paired with black cupboards as well as deeper cherry. It definitely gives your kitchen a more rustic and masculine feel. 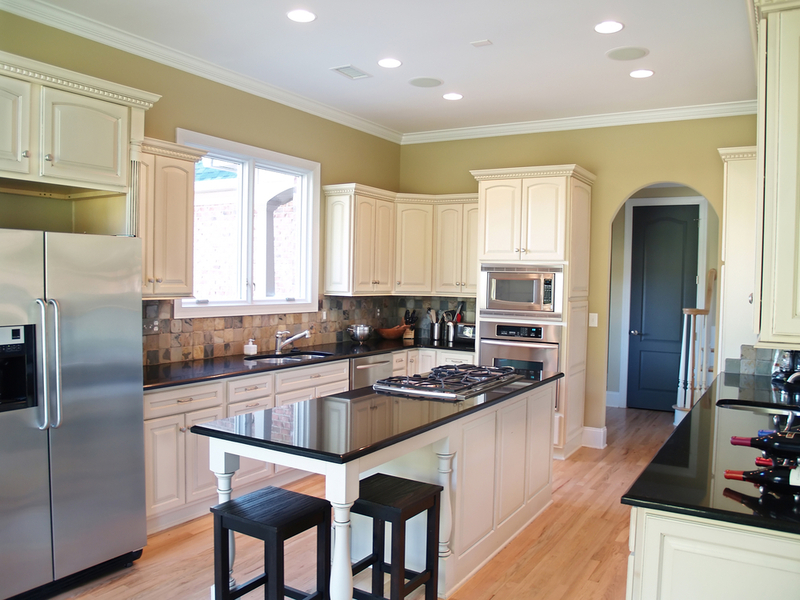 These pale, honey colored cabinets provide just a little bit of accent to the black countertop. You get a little bit of brightness to balance out the dark. 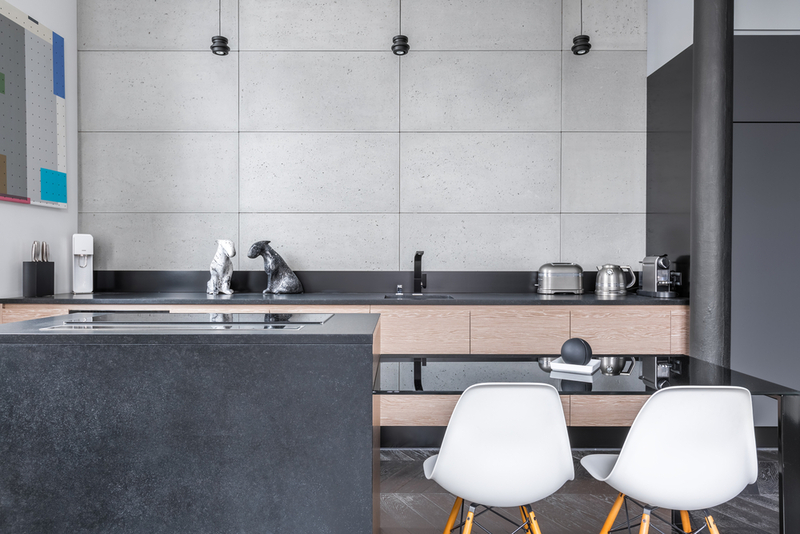 Ultra pale cupboards with no accents really make the absolute black granite pop and with the gray tiles on the back of this one you’re getting something so modern it looks futuristic. When you pair the black of the countertops with the black accents on the walls and around the cupboards you make the darker honey cabinets really pop out on their own. This kitchen has a unique style all its own. These cabinets are unique on their own with the accents of dark cherry and something even darker but when you add in the black countertops it makes them even more. The darkness in this kitchen is just enough, as long as you have plenty of natural light coming into the room. 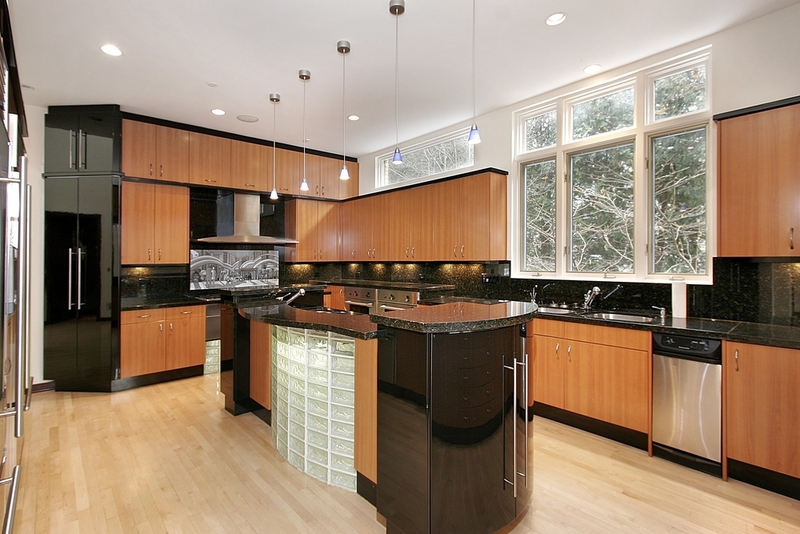 Pale cabinets provide a stunning balance to the absolute black of these countertops. The cabinets themselves almost look unfinished, but it’s a style that really fits. A light beige cabinet, highlighted with deep cherry makes for an ultra futuristic world almost like the Jetson’s, but it’s the black countertops that really make the look here. 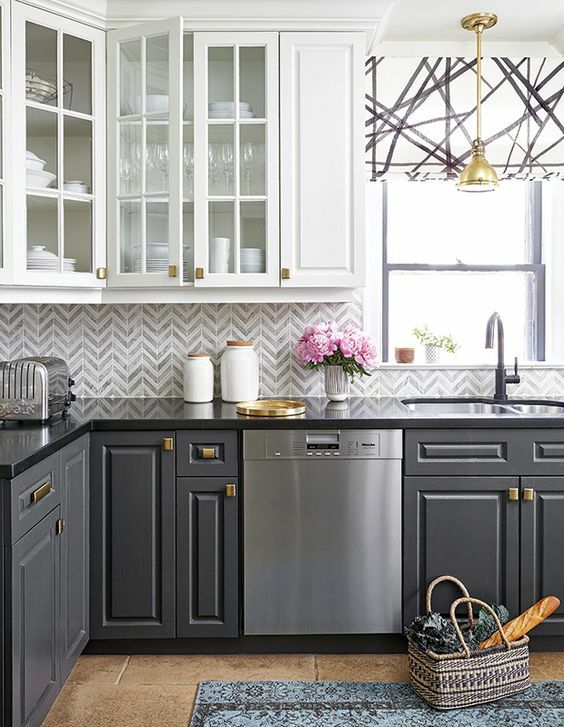 Gray cabinets are just starting to become more popular but as a compliment to black, they’ve always been an option. Pair these two colors together to get a contemporary look. Deep cherry with black makes an elegant style that’s rich, full and perfect for any formal occasion. 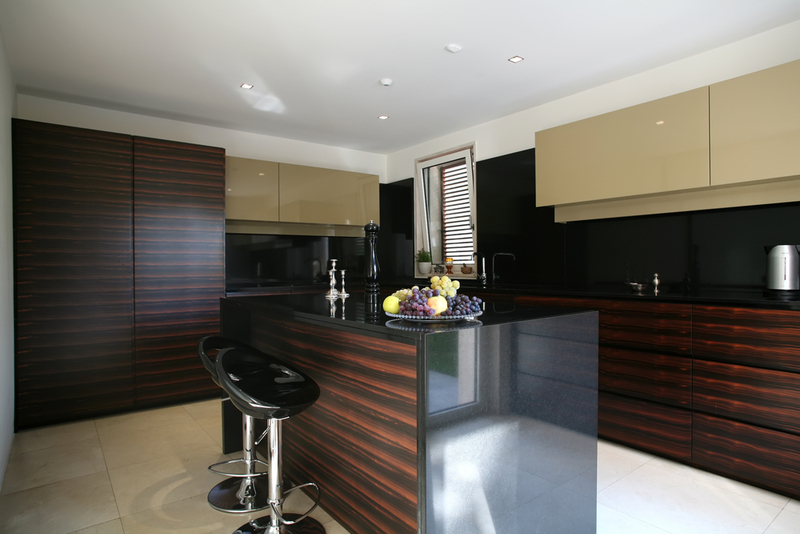 The absolute black granite definitely pops here. 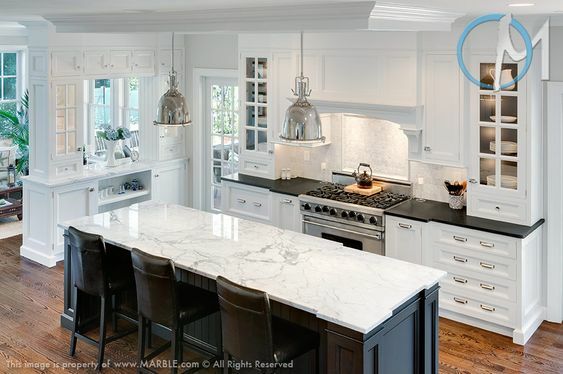 Mix and match here takes on a new meaning when black granite pairs with white cabinets and white granite colors pair with black. 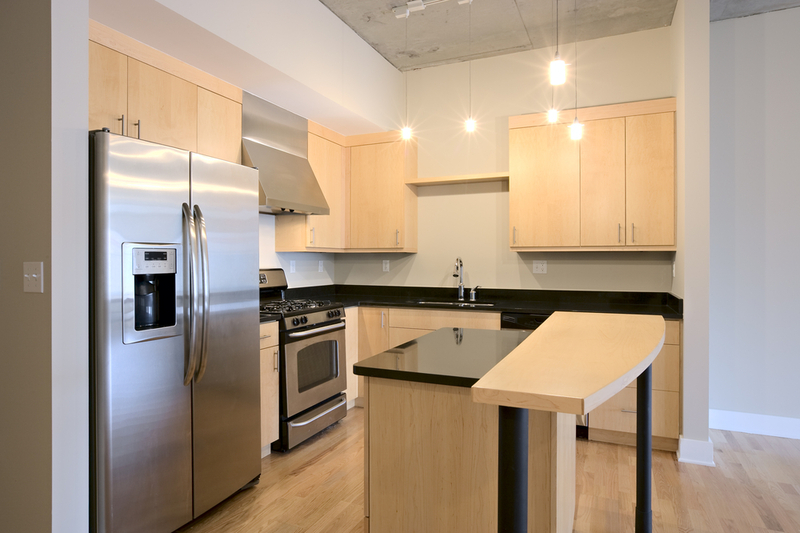 This is a bright kitchen with just a little bit of muting. 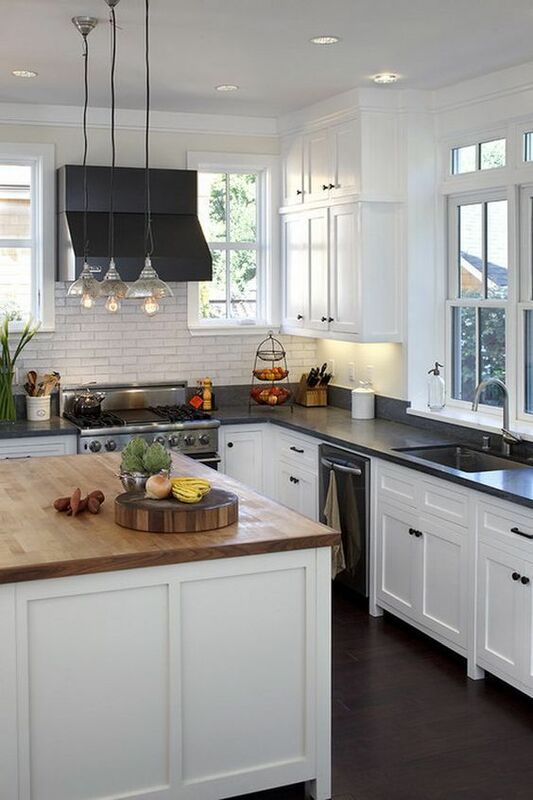 This black granite looks great with the white cabinets, but what really makes it different here is pairing it with a completely different countertop. The butcher block and black granite actually look great side by side and give a little bit of elegance and a little bit of rustic style. 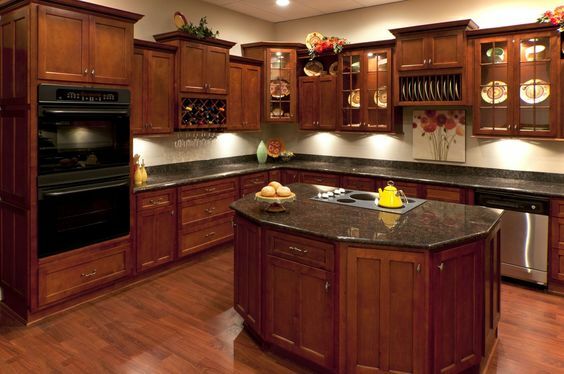 Here you get two of the best colors of cabinets for black granite side by side. Gray on the bottom and white on the top give you the perfect pairings for something a little more comfortable than elegant.